Australian-made DIY cubby house kits, like the Wallaby Lodge, come with everything you need to put it together making it easy to have a great piece of outdoor playground equipment for your kids right in your backyard. The Wallaby cubby house has a touch of Australian history. 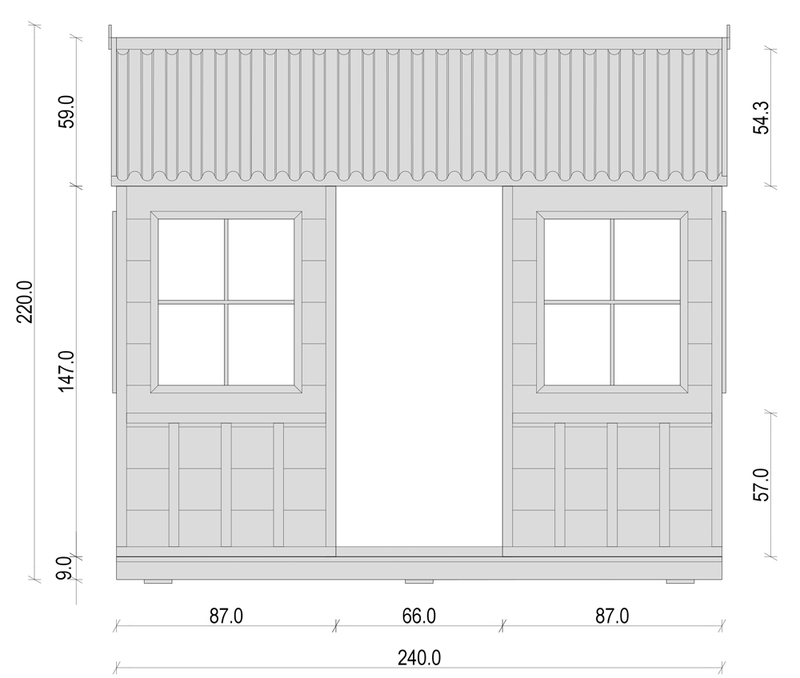 It is a large cubby with a railed in veranda and four large glassless windows. 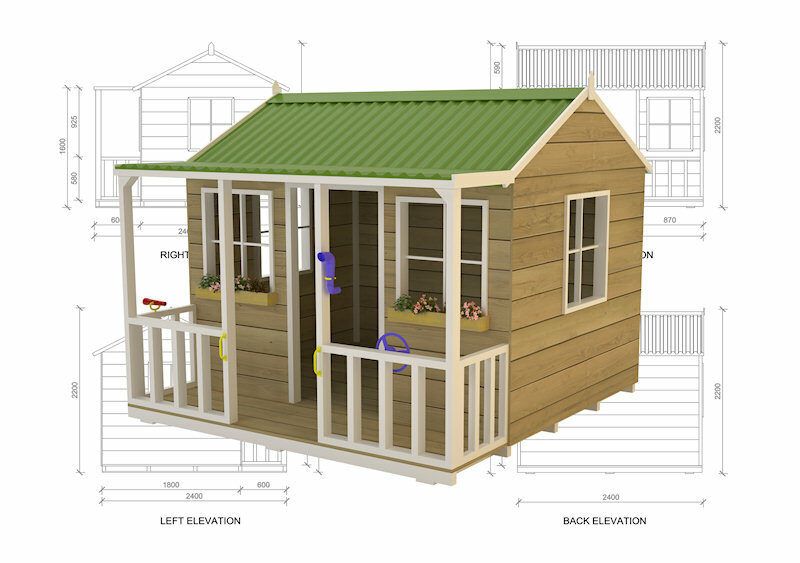 think of the possibilities that this sweet cubby house can have for your backyard landscaping, because your kids are going to be thinking if all of the other possibilities. They are going to want to decorate the inside so they can read and play house, they will want to pretend it is their very own place. This popular cubby house comes with your choice of roof color, standard accessories and the ability to add some extra features. Having a choice of roof color lends itself to being able to match your home with the cubby house, which is a wonderful feature. The cubby house has avaialbe for a small additional fee standard toys like a periscope and steering wheel will help your kids imagine all kinds of fun pretend worlds. 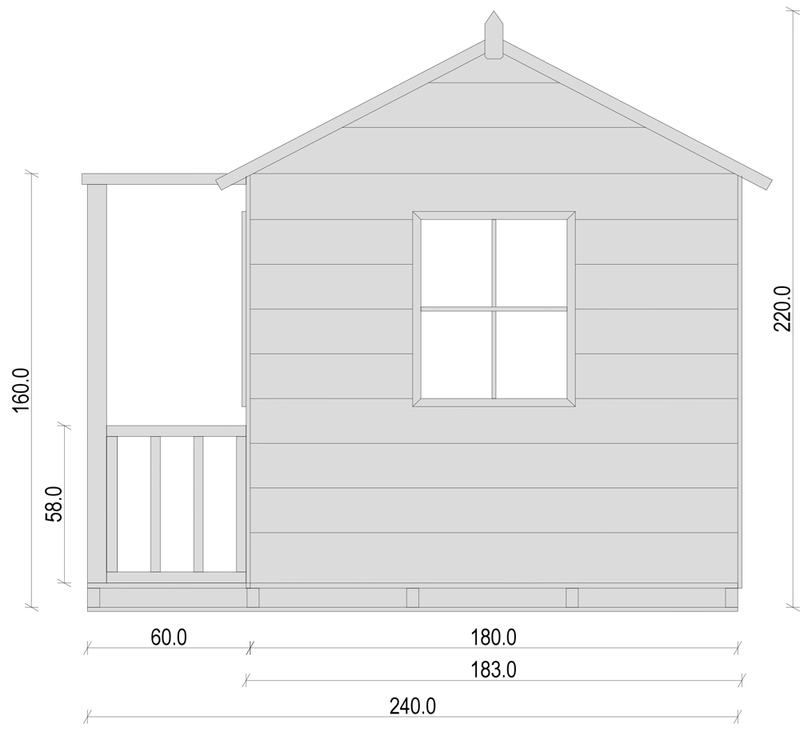 Added Features include door kits which have the choices of half door or full door sizes, flower boxes to pretty up the front part of the house, skylights for more natural light inside the cubbie house, and a letter box to write your child letters. The Wallaby cubby house lends itself for kids to being 'just the spot' to feel safe, to explore your imagination, and to express their creativity. Help your child make their cubby all about them by asking them how they would like to decorate it - maybe even make decorations together? When you make their cubby reflect their personality, they are going to want to play in it all the time and get all of the benefits of outdoor play. 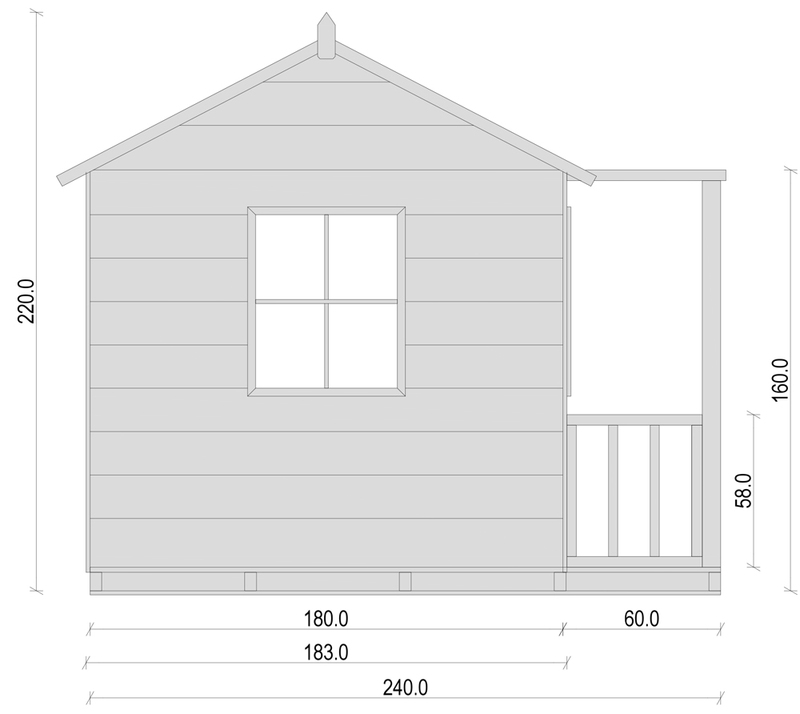 Kitcraft has been providing the best cubby houses in Australia for more than seventeen years. We operate from our headquarters in Western Australia. At KitCraft DIY cubby house and cubby fort kits, including the Wallaby cubby house, are designed to entice your kids to run, jump and play with their safety in mind. Our wooden outdoor toys are sturdy and secure as they are made from the finest Australian organic timber which is sanded down to a smooth feel - no splinters. 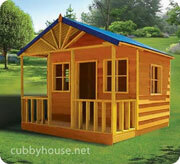 We only use domestic materials because it ensures that your cubby house will stand up to heat and rain. Our wooden cubby houses are resistant to white rot and fungus thanks to special organic treatment. 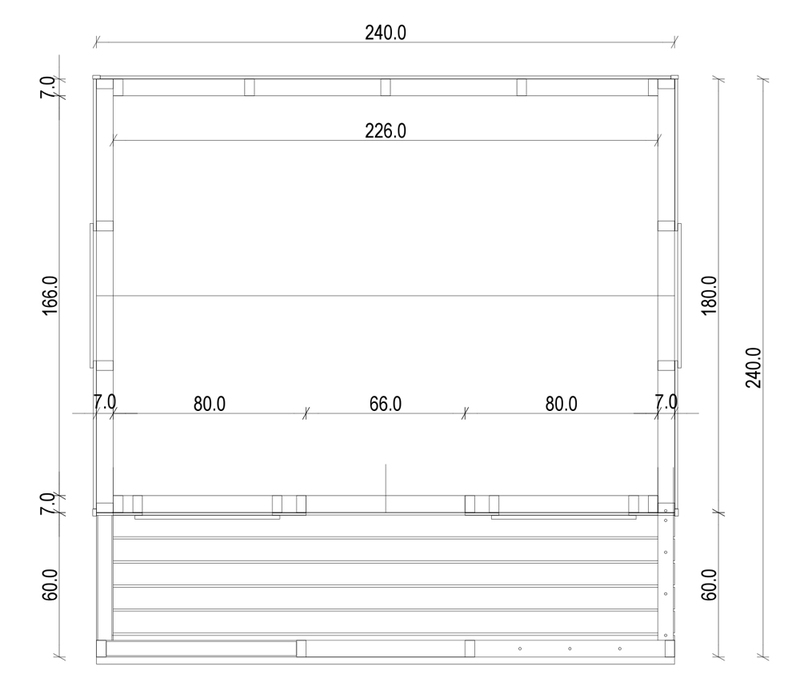 Our elevated cubbies are built with strong supports and safety is built into the designs. For instance, there is no glass in our windows. 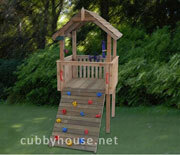 Parents can be at ease when their children are playing with their backyard playground equipment from KitCraft. When you order the TWallaby, it will be shipped in kit form ready for you to put together. 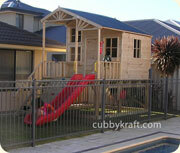 Here at KitCraft Cubby Houses and Forts we ship our DIY kits all over Australia. You will receive your kit in pre-cut pieces with understandable instructions that are easy to follow and with each piece clearly labeled. The cubbies are designed for the average handyman to put together with easy-to-read direction, but should you have any questions there are consultants available to help through email and over the phone during normal business hours. Don't forget to let your little ones help where they can so they can feel a part of taking care of their special outdoor toy right from the beginning.